We are introducing truly neat and unique responsive WordPress theme that combines minimalistic design and excellent user experience. We wanted to create the design that can be used from the box or customized for need of our customers. With our four social network widgets from the box making this theme fully-social! You can integrate your Instagram or Twitter blog with this theme in two clicks. 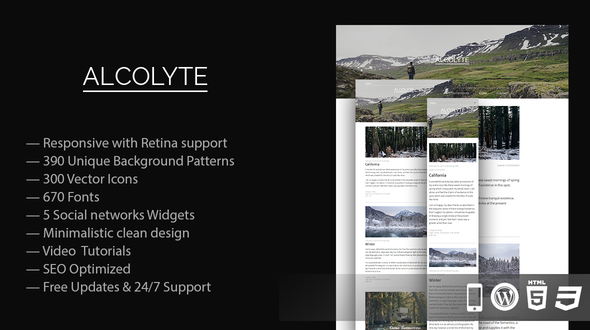 This premium theme can be used for blogs, newspapers, magazines or review sites.